The Seat Dots 2016 Vitra by Hella Jongerius are round, universal seat cushions. They have thin upholstery padding and come in a wide selection of bold or subdued colour combinations to suit every taste and interior. The round upholstered Seat Dot cushions offer a simple way to add comfort to chairs made of plastic, wood or metal. The different coloured faces create subtle or bold accents, which are further enhanced by the edge binding. 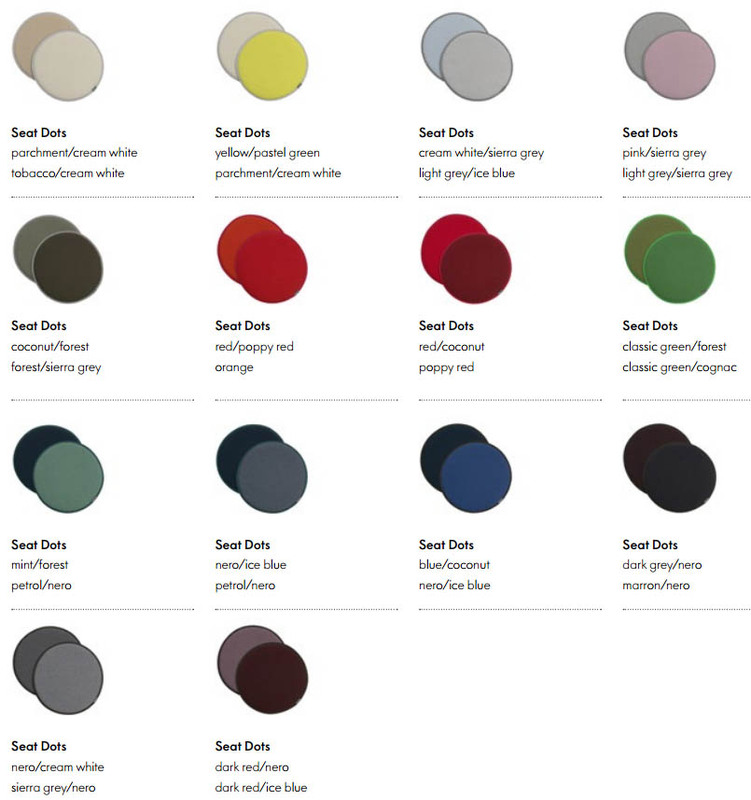 Hella Jongerius developed the Seat Dots as universal seat cushions, whose size and colour palette perfectly suit a diverse range of chairs. The cushion can be used on both sides and washed if necessary. Material: firm, high-quality fleece pad, Plano fabric cover on both sides, Ø 38 cm.